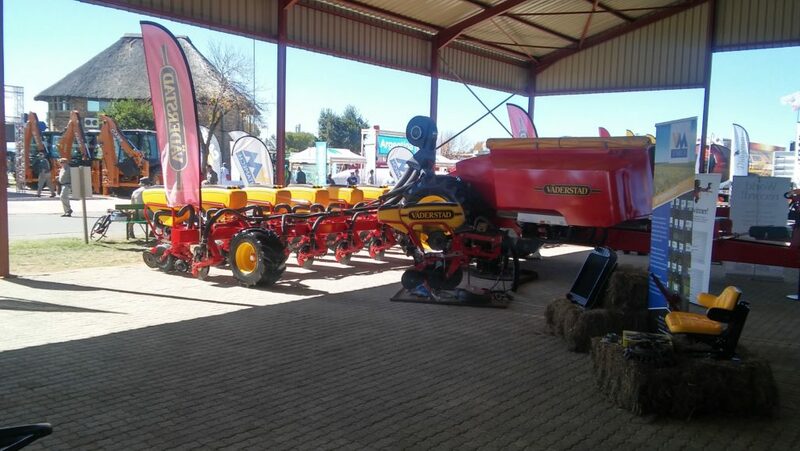 We are attending one of the most famous agricultural expo in South Africa, Nampo 2019. This year we will show the Väderstad range. With the exact placement of both seed and fertilizer of the Rapid and Seed Hawk to the high speed and high accuracy of the Tempo, planting in all conditions and needs can be achieved with confidence. Their range of cultivation options is always a top choice to consider for your fields. We will have the TopDown 500 on display this year, a unit that has been tried and tested by many. One of the biggest name in the harvesting industry, Macdon, will also be there with the flex draper FD135. This combine header can work with the most challenging land contours to keep a even cut throughout the entire field. The Macdon flex draper FD1 flex on three different point and up to 254mm on either end, while maintaining a close reel-to-cutterbar relationship. This unique feature can only be found in Macdon headers. A rather impressive new model to the Macdon range can also be found. We have a large range of quality aftermarket spares for tractors like Landini and Massey Ferguson that can also be found at Nampo. These are just a small number of exiting things that can be expected at the Vitamech stand of Nampo Harvest day of this year. Visit us at plot number F1A to find out more.